Now that the conflict between the First Order and the Resistance has escalated into open warfare, Poe Dameron shines as a daring squadron leader. Ever brash and foolhardy, his hot shot antics wear the patience of both First Order and Resistance command. Kids can imagine battling the First Order like Poe Dameron with this Star Wars Nerf blaster that fires glow-in-the-dark darts! 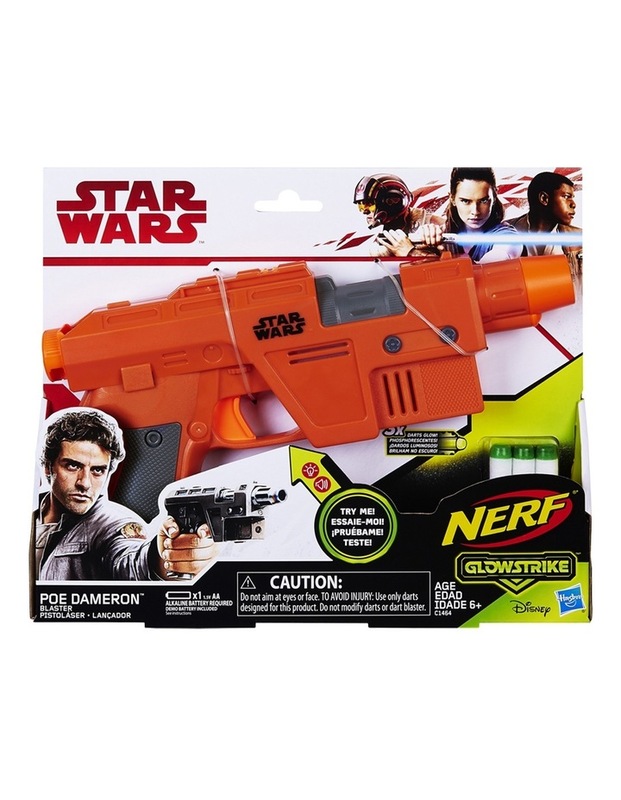 The Poe Dameron Blaster features GlowStrike technology that charges the darts to make them glow when fired. Load one dart into the front of this single-fire, trigger-activated blaster, pull the handle back to prime it, then unleash the glowing dart and hear laser blast sound effects! 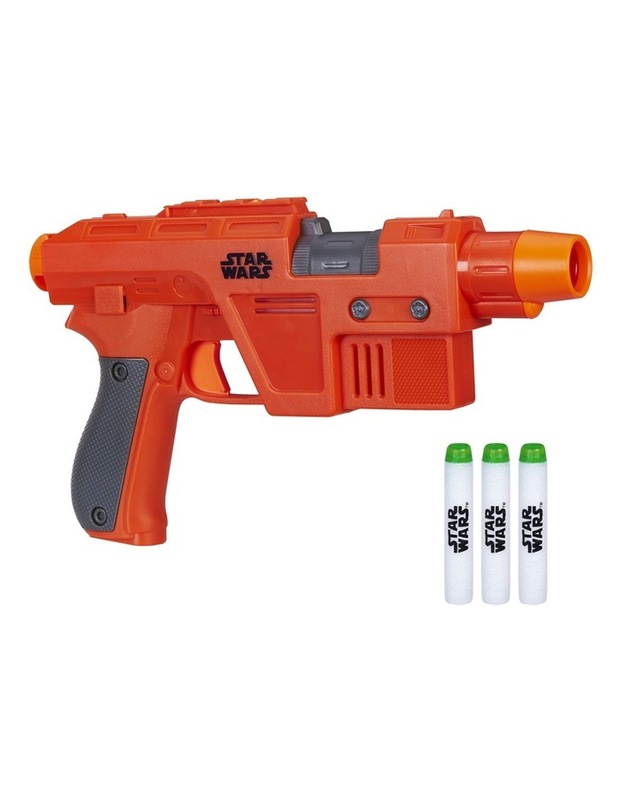 Illuminate Star Wars battles with the Star Wars Nerf Poe Dameron Blaster! Includes 3 Elite GlowStrike foam darts.